Yummy for the palette and yummy for the skin! Yuzu is a gorgeous, cold-hardy citrus fruit used in Japanese cooking, cocktails and beauty treatments. 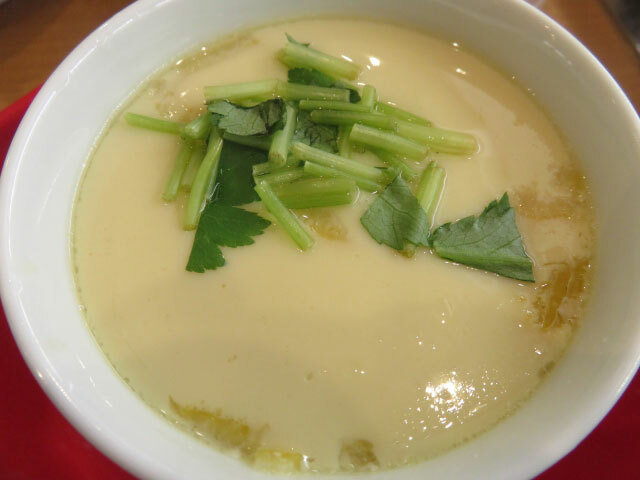 Yuzu is popular in dishes…as an ingredient in dipping sauces like ponzu and in spicy pastes like yuzukosho. It’s even more popular muddled into cocktails like the Yuzu Sour, which is mixed with rum, vodka, triple sec, soda and simple syrup. The yuzu fruit is small, about the size of a large lime. It’s tart and a little bit bitter, citrusy as if a grapefruit and a lemon were mixed together. Very little juice can be extracted from the fruit, since the fruit has a very thick rind and large seeds relative to its size, but the juice that is available has a concentrated flavor, and zesting the peel releases the fruit’s aromatic oils. Yuzu seeds were also used medicinally. The hardy yuzu plant is able to thrive in diverse planting zones, and can even survive temperatures as low as 5°F. In April and May, the trees flower with delicate white blossoms. From June through August, the trees remain dormant, laden with dark green fruit. Even though the fruit is not yet ripe like it will be during the winter months, the rind of the green fruit is grated and served with salads and sashimi to add a citrus spice to these dishes. During the winter months, the fruit turns golden and aromatic, and is used fresh and preserved. Yuzu marmalade is extremely popular, and can be used in desserts and teas. Marinades for chicken and fish, as well as dipping sauces for vegetables and beef are also commonly used. We love the Baked Sea Bass with Yuzu Pepper recipe on our website… give it a try! One of the best uses of yuzu is on Winter Solstice, or Toji. A hot bath is drawn and whole yuzu fruit or sliced fruit bundled in cheesecloth is added to the water. Bathing in this water is said to ward off colds and flu during the winter, and to rejuvenate dry, chapped skin as the aromatic oils are released into the water. The nomilin in the fruit’s oils also produces a relaxing effect and increases circulation. 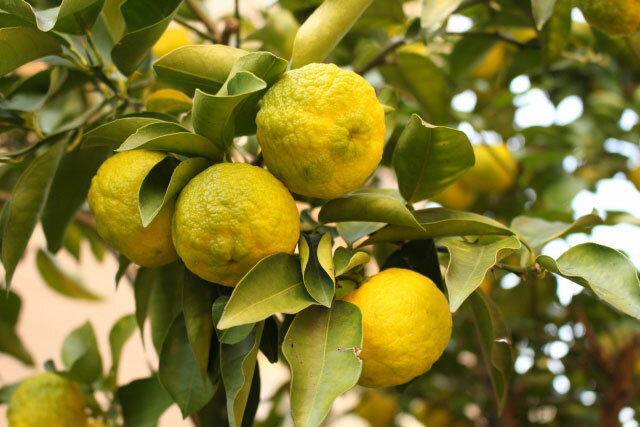 Luscious and appetizing, yuzu is a treat at this time of year! As we’ve been showcasing, Japanese kitchens are equipped with simple, elegant tools that serve multiple purposes and are made to withstand constant use. Japanese knives are key to the culinary tradition, with the deba bocho being an important piece of the cook’s knife collection. The deba bocho is one of the five basic knives that are part of most traditional Japanese kitchens. 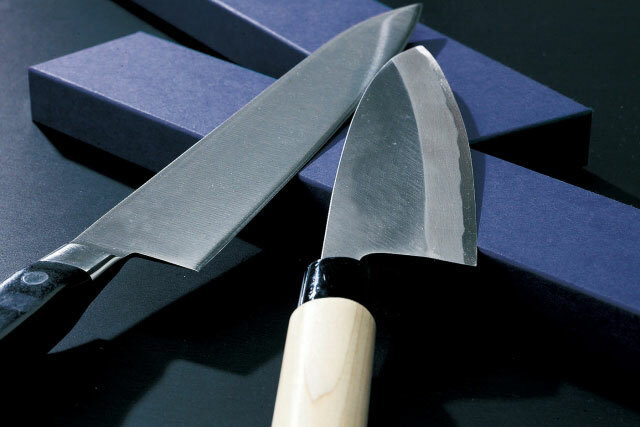 Along with funayuki bocho, nakiri bocho, wabocho or santoku, and the sashimi bocho, the deba bocho, which means “pointed carving knife” has a unique shape and heft that has evolved over time to become task–specific and task-expert. The deba bocho, also called a sakana bocho, is a thick-bladed, heavy knife with a sharp tip. The length of it can vary, but in general, the deba bocho is a medium to large (23-31 cm, or about 9-12 inches) knife that is used to hand-fillet fish, carve whole poultry and cut through larger chunks of meat, especially when the cook needs to cut through small bones. The various parts of the blade are extremely useful for specific cuts. When filleting a fish, the broad, long edge of the blade is used to cut through the flesh along the edges of bones. The tip is used to sever fillets from the carcass and the corner edge is used to cut through larger pieces. The knife can also be used similar to a Western carving knife, useful for carving a chicken along the joint lines and along the breasts. The knife, especially if maintained correctly and sharpened regularly, makes precise cuts and will last the cook for many, many years. Have you used this type of knife before? Share your stories! Japanese gardens are some of the most beautiful and tranquil spaces in the world. Imparting a sense of unspoiled beauty, Japanese gardens are stylized, yet natural, representations of nature… idealized versions of landscapes that evoke serenity, meditation, harmony and grace. From the smallest backyard to the largest park, Japanese garden traditions revolve around six aesthetic principles, including point of view (or perspective), miniaturization, concealment, ‘borrowed’ scenery, asymmetry and artistic form. The earliest documentation of these principles can be found in the Sakuteiki (or Notes on Gardening) written during the Heian period of Japan’s history, from approximately 794-1185 CE. 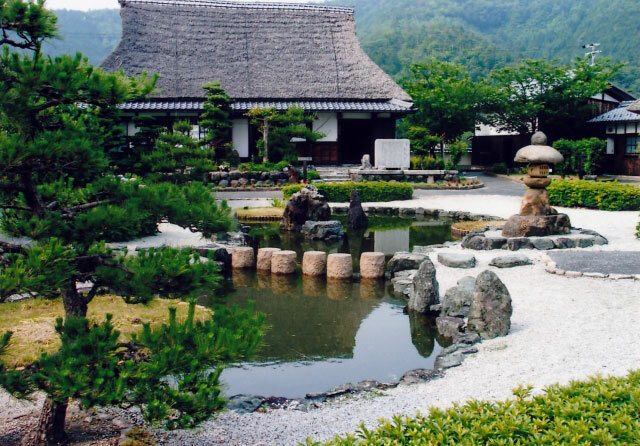 According to these principles, the Japanese garden is a miniaturized and often, abstract, version of a larger natural landscape, where fine sand or gravel can represent water or large rocks represent islands. The designed landscape is meant to be viewed from a particular perspective, whether a seated position, such as in traditional meditation gardens, or from elevated platforms, such as in pleasure gardens. These perspectives inform the scale of the garden, along with the types of flora, fauna, water and rock elements used in it. In this landscape design tradition, plants, animals and hardscape are deliberately chosen to tell a subtle story, sometimes of mythological or religious beings, and sometimes of the passage of seasons in an area fondly remembered. To that end, Japanese gardens are not constrained to a grid of a symmetrical design axis, like the formal Western flower gardens at Versailles. Elements flow in natural patterns, often placed according to Buddhist geomancy principles. Traditional Japanese gardens have survived the many periods of Japan’s history, beginning in the Heian and Muromachi periods, then experiencing a resurgence during the Edo and Meiji periods and again in current, modern times. Today, large-scale urban parks incorporate the main styles of Japanese gardens into their landscapes, including the tsukiyama, karesansui and chaniwa styles. The tsukiyama style focuses on showing nature in miniature, using small-scale trees, rocks, waterfalls, streams and ponds. 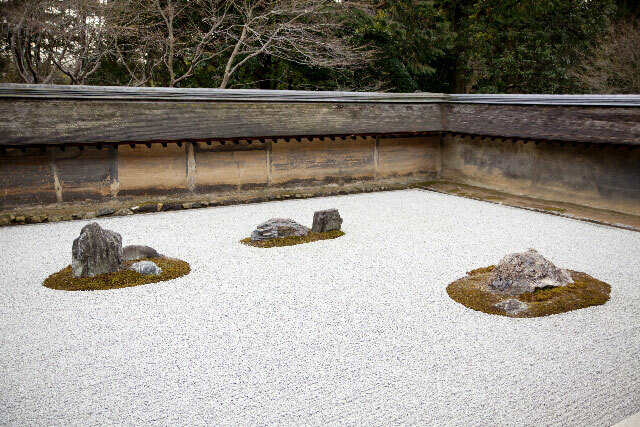 The karesansui, or “dry”, style uses sand and gravel to represent flowing water, and is most often seen in zen or meditation gardens because of the simple elegance of the garden. Chaniwa-style gardens are adjacent to a teahouse, and are designed to be utterly natural and simple, while at the same time meant to prepare a guest for entering the teahouse for the chanoyu or tea ceremony. A garden path denoted by tobi-ishi, or stepping stones, guides guests to the teahouse, along with stone lanterns called ishidoro. Small round stone bundles bound with straw are placed along the paths so that guests will know where they are not to step. 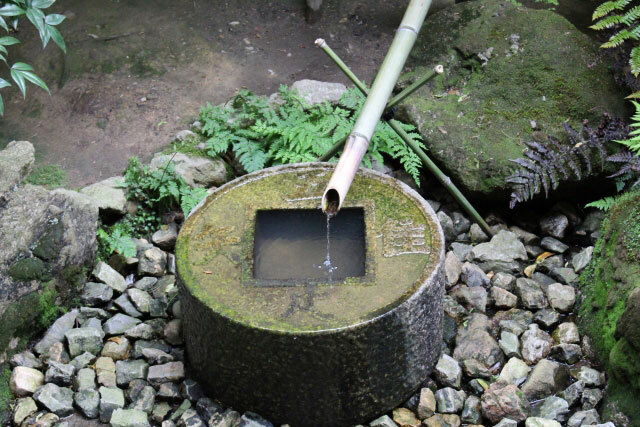 A tsukubai, or stone basin and ladle, are placed at the end of the garden path, and water from an elevated bamboo pipe, or kakei, is poured into it so that guests may wash their hands and mouths prior to entering the teahouse. These three styles of traditional gardens are seen in spectacular public spaces, and one particular garden not to be missed is the Ryoan-ji Hojo Temple Garden in Kyoto. Japanese gardens are now famously available to people all over the world, and even if you don’t live close to one, designing your own garden space, however large or small, can be a beautiful, artistic and fulfilling endeavor. Our Newest Food Jar – Great for Lunch this Fall! 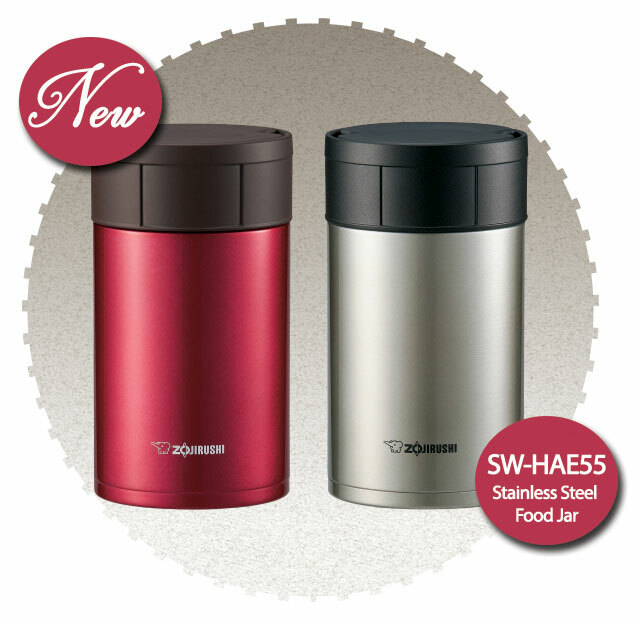 Our new Stainless Steel Food Jar SW-HAE55 comes in beautiful steel and rich metallic red finishes, and has the classic Zojirushi 2.5 inch wide mouth, which makes it easy to add food and eat directly from the jar. The SlickSteel® interior finish, electro-polished to a smooth surface, is free of BPA, and is easy to clean and repels foreign substances and stains. Best of all, Zojirushi’s vacuum insulated technology—where the air within the insulation enclosure is ‘vacuumed’ out, minimizing heat convection—keeps foods and liquids hot or cold for hours. The lid has a unique feature that lets you screw off the stopper lid and release pressure, so there’s no need to wrestle with a jar of hot food when you’re trying to open it. We hope that you try out this new 19 ounce size stainless steel food jar, and that your own review is as glowing as the ones from our other customers. 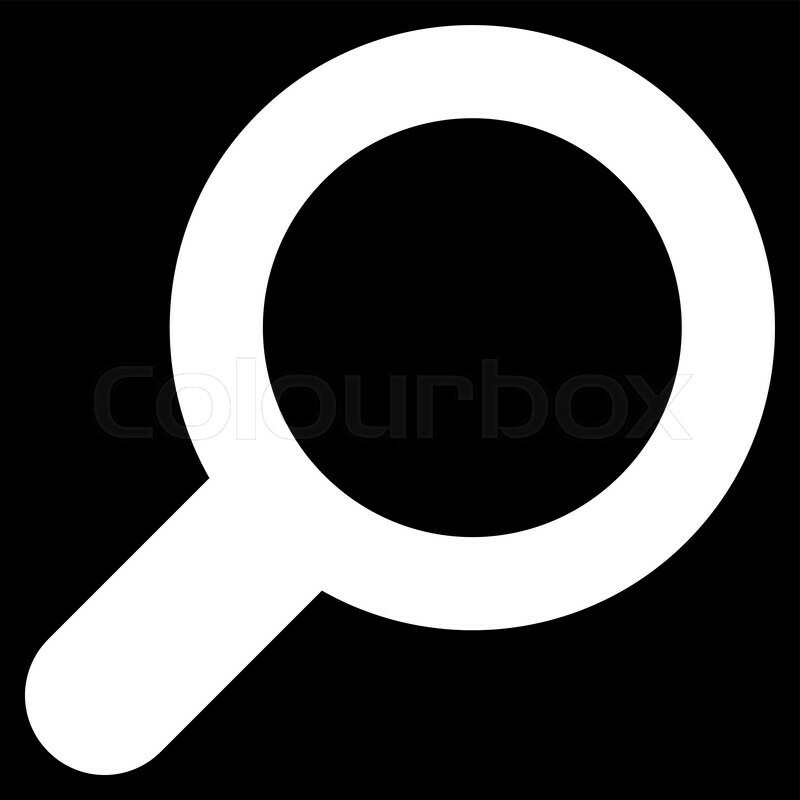 For actual product features and use and care instructions, please visit the SW-HAE55 product page.